Avestus Capital Partners, a leading real estate developer and investor, who are active in the dynamic property markets of Central & Eastern Europe, announces the successful completion of the sale of its Explora Business Centre in Prague to Golden Star Group, an international real estate group specializing in commercial and leisure real estate properties. Real estate advisors Colliers International and law firm Schoultz & Partners represented Avestus Real Estate while Golden Star Group was represented by Havel & Partners in this transaction. “We are pleased to have worked successfully with Golden Star on this transaction. Avestus Capital Partners remain actively developing in both the Czech Republic and Poland and continuing to provide high class office and residential product for our buyers and tenants,” said Peter Donnelly, Principal of Avestus Capital Partners. “We are pleased to acquire Explora Business Centre which joins our quality portfolio of yielding assets across Europe and CEE. We have intentions to further invest in Prague as we find the city suitable for our investments strategy and criteria. Explora Business Centre acquisition combines successfully our investment know how and capabilities along with the quality development work of Avestus Capital Partners which marks our joint successful collaboration,” commented Gal Peleg, the CEO of Golden Star Group. Explora Business Centre is a modern, LEED-certified office high Class-A standard project developed by Avestus Real Estate’s in-house development team. This is a landmark office building located in Nove Butovice in Prague 5 commercial hub is one of the Czech capital’s dynamic and fastest growing business locations. Explora Business Centre is a fully leased home to various global multi-nationals including Citibank, NNiT, GE International, Porsche and DHL. The sale of Explora Business Centre is one of the largest transactions performed this year in Prague. The Business Centre comprises 22,800 sqm of leasable area spread over eight above-ground floors with floors and three below-ground floors with 327 parking spaces. 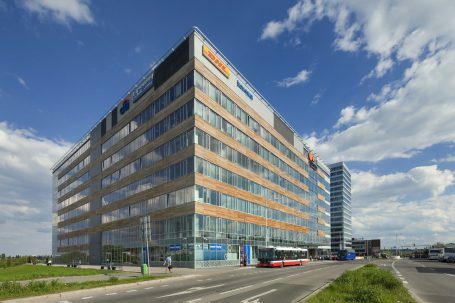 Explora Business Centre is located directly above the Nove Butovice metro station with ideal access to public transportation to downtown Prague, the City’s international airport and the Prague Ring Road and the D5 highway.